Is The Gypsy King About to Reclaim his Crown? 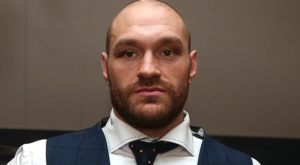 The supposed return of Tyson Fury to boxing has taken well over two years, his return to a boxing ring may well take longer or it might not even happen at all. However Fury is nothing if not the king of getting the media, via social media into a frenzy and everyone seems to have an opinion on him and what he should do next. He has stated on many occasions lately via his social media outlets that he wants Anthony Joshua next. Not next month or next phase of the moon, but the very next fight. His comeback fight in fact. A great many think this to be a good idea, after all Fury beat the man (Klitschko) in his own back yard after ten years of dominance, and won the IBF, WBA, IBO, WBO, Ring Magazine and Lineal Titles, through a masterclass (I’ll come back to that), only to see him stripped of it all bar the supposed most important title of all. Tyson Fury is still the Lineal Champion of the World and this is the thread/hope his supporters and himself cling too. The fact that he won it over two years ago, hasn’t come close to fighting since, has had some personal issues, served a ban and ballooned in weight to twenty five stone, seem to mean nothing at all and are totally irrelevant. Is it right that a man can be lineal champion, not fight for over two years, announce his retirement at least three times in that time span and still be the lineal champ? I suggest not, quite a few others vehemently disagree with me. Fury is the king and will be forever comes the main chorus from that choir. The fact Joshua is almost certain to sign for the Parker unification shortly after weeks of negotiations will again mean nothing. David Higgins from Duco is flying over to the UK this week, so the deal is as good as done. Team Fury followers will be whipped up into a frenzy and Joshua will again be seen as a coward and the lesser champion. Some would argue that Joshua already has the better legacy over Fury however, perhaps that’s a discussion for another time. The highlight (and it was some highlight) of Fury’s career was clearly beating Klitschko to take all those titles however, it was not the masterclass, schooling or beating that many would like us to think. Fury actually landed a punch on Klitschko less than 90 times in the whole of the 12 rounds, or 36 minutes. Less than ninety times in the whole of the twelve rounds, that is just over seven punches a round, seven punches in three minutes. So with that in mind lets get away from the nonsense thoughts of a masterclass and even “Ali-esque” as quoted by some. It was spoiling tactics against an ageing champion. To be fair those were tactics that won the fight and titles however and whilst there were many euphoric roars from the British media/public at the time, as people have looked back at it since then, especially since the Joshua vs Klitschko fight was given fight of the year, those roars have become more like whimpers. Tyson is no longer trained by his uncle Peter and is now instead trained by the very capable Ben Davison. The split from Peter shocked a lot of the boxing world, certainly within the UK however, perhaps it could be the best for Tyson. A completely fresh start as it were. All that seems to be missing from Tyson’s armoury now is a promoter capable of matching his potential ability and his persona with some big money fights. I can only think that Hearn or perhaps Warren in the Uk are the only two big enough for the Fury ego. Warren has already tried to tame him before, but wasn’t able too. Hearn may relish the challenge whilst the old friend of the family (Mick Hennessey) is not going to be able to promote Tyson Fury on YouTube. Perhaps a potential link up with Hearn led to the split with Peter Fury. Kubret Pulev has been out of the limelight since having to pull out of the Joshua fight through a shoulder injury. There is a strong possibility he could the first defence for Manuel Charr for his WBA “regular” title. Tyson Fury could do worse than fighting David Price as a comeback fight and then fighting the winner of Pulev vs Charr. He needs to get rid of the rust and there will be plenty. Win those two fights and it’s an easy way for him to get a ranking and also a sure fire way to build a future huge money legitimate fight against Joshua or even Wilder. Whatever the future holds for Tyson Fury, I hope he has now beaten his personal issues and can focus on the rest of his career. Love him or loathe him, the world heavyweight scene is a hell of a lot more interesting with Fury involved.